Serving Fork | Kitchen Tools(KEB-206) - Keywood International Inc. 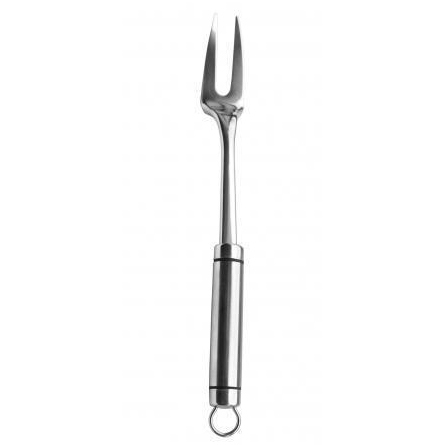 The serving fork is a perfect kitchen tool for serving meat and vegetables. Two tines allow for sticking into meat. Made with high quality stainless steel for long lasting use. The slot on the serving fork can be used for hanging when not in use. Ideal for serving meals such as meat, vegetables, etc.